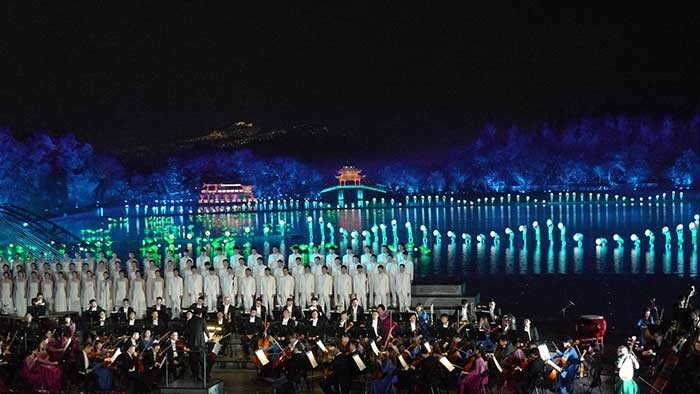 China – A spectacular concert, directed by famed Chinese director Zhang Yimou, was performed for world leaders on 4th September in China for the G20 Summit. 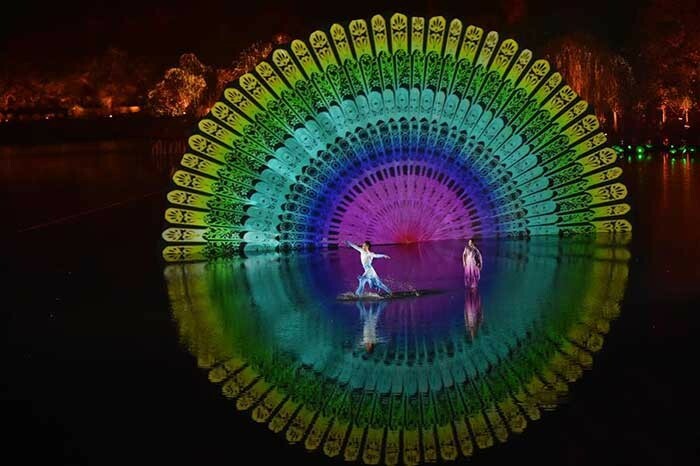 “Enduring Memories of Hangzhou” later made its public debut in October, attracting huge audiences to the West Lake in Hangzhou, Zhejiang Province. The upgraded show maintains 80% of the original programme content and benefits from a new audio system which has been installed to delight audiences from all over the world. 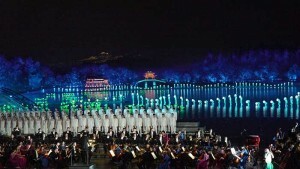 This cultural fusion performance of East and West, featuring a symphony orchestra and gala on water, is a unique outdoor concert in a natural setting. Through a significant feat of engineering, the stage platform lies centimetres below the West Lake’s surface. 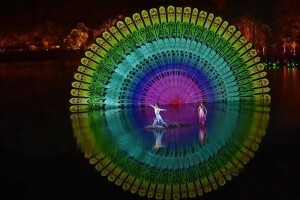 To the audience, the actors appear to be performing on the surface of the water, which also creates a stunning reflection of the performance and lighting. 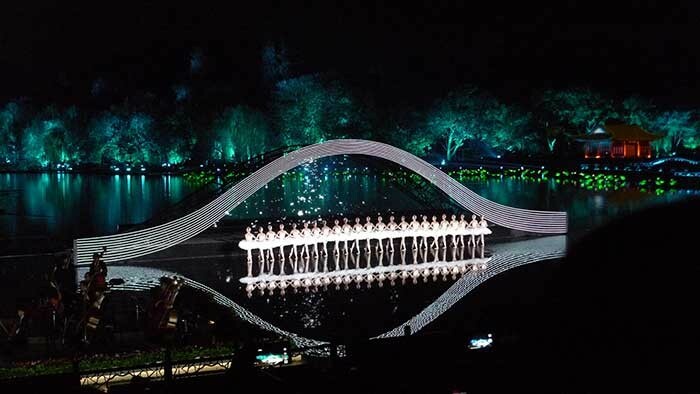 The entire stage, covering an area of 8,000 square meters divided into three main performance zones spaced significantly apart, posed a great challenge for the monitor system setup. 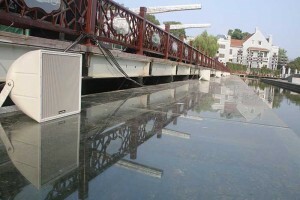 Various Community R SERIES loudspeakers were selected for stage monitoring: six R.5 loudspeakers are located on the glass walkway along the lakeside to cover the main stage for the symphony orchestra and the choir, four R.25 loudspeakers are installed on the Jiuqu Zigzag Bridge to provide monitoring for the children's chorus and R.5, R.25 and R.15 loudspeakers are distributed along the boardwalks surrounding the whole performance area to provide monitoring for the dancers.